If you’re trading binary options online because you’re serious about investing (as opposed to trading binary options online for entertainment), you need to learn how to set goals. There are goals that sound smart but which actually aren’t. One example would be something like this: “I want to turn $100 into $1000 in two to four weeks.” We actually took that statement from an advertisement we saw for an eBook with a trading strategy. It sounds like a smart goal, because the idea is of course to make money, and setting deadlines is usually helpful when you set goals. So why isn’t this a good example of a goal for trading binary options online? The problem with goals like this is that they compel you to rush in a business you absolutely cannot rush in. If you’re going to trade binary options online successfully, it’s all about waiting for the very best binary options online trade setups. You have to come up with a strategy with clear entry and exit criteria, and then you have to follow those criteria diligently. That means taking only A+ trade setups, and skipping over tempting B setups. If you’re in a hurry to turn your $100 into $1000 in two to four weeks, what do you think you’ll do when you see a less than perfect trade setup? You may well think, “I’m on my third week now, and I only have $500. No way I’ll get to $1000 if I don’t take this setup!” And then you’ll trade on a less that ideal setup and you’ll probably lose money doing it. You have to test, and you have to test plenty. You can . Traders do this with long-term goals too. For example, you’ve probably already sat down and done this routine. “I have $100 right now. So if I invest it and do X number of trades per week and I win 85% on each of my trades and I win all of them, that means in X number of years I’ll have $1,000,000!” It’s not that you shouldn’t think that; you probably wouldn’t be human if you didn’t. Once you have, however, it’s best to set it aside, put it in the back of your mind, and trade with other goals that might actually get you somewhere near that million someday. Remember that you don’t live in a faultless, perfect universe and that you’re not going to win every trade. Even if you have an amazing win percentage, you’re still going to lose regularly and the is pretty severe … so it’s best to think about how you can counteract the factors that can make you lose. What Is A Useful Goal? What are some examples of more useful goals you can set as a trader? Some of your goals can concern your trading statistics. You might for example do back tests with the goal of achieving a win percentage that’s around 85% (that’s very high as far as achievable realities go—you’re not going to achieve something like 95-100% in real life). You could aim to make your average win larger than your average loss at the same time (relevant if you use rollover or double up features or you do early close on trades going against you). 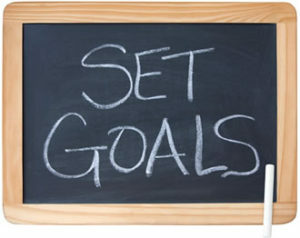 Your goals can also relate to your trading psychology. You can make it your business to become a more disciplined person through your trading, and to learn how to deal with extreme emotions. You can make it your objective to excel at money management and to learn how to budget. You can decide your goal is to learn how to balance trading with the rest of your life. Patience is another quality you can focus on cultivating. And setting unrealistic or inflexible deadlines isn’t going to help you to build up patience. Using great . All of these objectives which relate to psychology or trading methodology will be more helpful over the long term than a goal like “I want to be a millionaire in five years!” We all want to be millionaires or better—but wanting something isn’t by itself a strategy for getting it. It’s what you do in the meantime and how you do it that’s going to make a difference in whether you might get what you want—not the fact that you want it. У нашей организации нужный веб сайт с информацией про нарядные платья для девочки харьков.